A single shade of brown pencil for the lips. 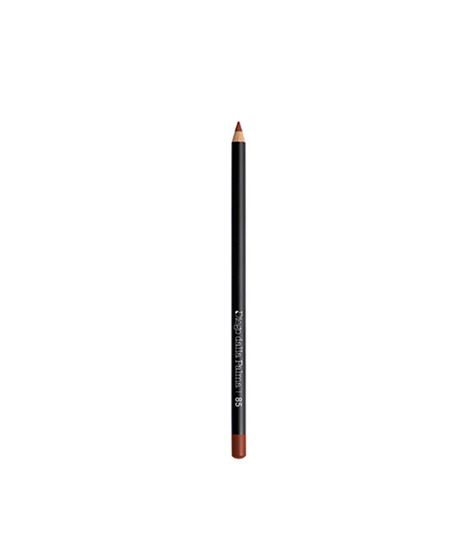 Perfect to use with the lipsticks in the collection, the pencil glides over the lips guaranteeing controlled application and a precise line which is easy to blend in. A velvety finish and full-bodied colour release from the first coat guarantees the lipstick’s greater staying power without bleeding. INGREDIENTS/COCTAB: C10-18 TRIGLYCERIDES, HYDROGENATED VEGETABLE OIL, CAPRYLIC/CAPRIC TRIGLYCERIDE, TALC, TOCOPHEROL, ASCORBYL PALMITATE. MAY CONTAIN (+/-):, CI 77891 (TITANIUM DIOXIDE), CI 77491 (IRON OXIDES), CI 77492 (IRON OXIDES), CI 77499 (IRON OXIDES).